One of the surprise hits of the literary season has been Kristen Lepionka’s The Last Place You Look. A surprise, not because it isn’t worthy – it most certainly is – but because the industry can never predict which debut novels will prove to be breakouts. In the case of The Last Place You Look, the stars aligned, and Lepionka is sure to be part of the crime fiction community for many years to come. 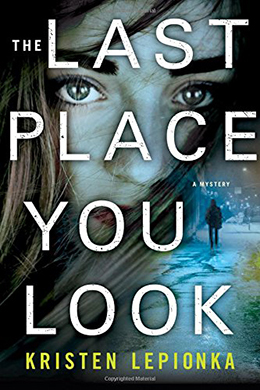 The Last Place You Look is the story of Roxane Weary, an unmotivated private investigator who finds herself intrigued by her latest assignment. When Roxane is hired by the sister of a man convicted of murdering his girlfriend’s parents – a girlfriend who also happened to have gone missing that same night – she thinks it is just another desperate attempt by a family member to bury their heads in the sand. However, with his execution day looming, Brad Stockton’s sister truly believes that she saw Sarah Cook alive and well and wants Roxane to find out why the girl disappeared fifteen years ago. Roxane needs the cash, so she takes the gig. Not long after beginning her investigation, Roxane discovers that Sarah’s vanishing act may have ties to an unsolved murder case her father once worked on. Unfortunately, Roxane’s father recently died on the job, so any answers are going to need to come via Roxane’s own investigation. Immediately from the first page, the reader knows they are in the hands of a consummate storyteller. Kristen Lepionka’s writing is impeccable and her plotting is traditional without becoming derivative. Much of the success of The Last Place You Look can be attributed to the character of Roxane Weary. She is a true original. Bisexuality is a part of the Human Sexuality Spectrum that is virtually ignored, often denigrated, and almost always misunderstood. By crafting a bisexual character like Roxane Weary, Kristen Lepionka makes massive inroads towards invoking understanding and acceptance. Over the course of The Last Place You Look, Roxane juggles two complex relationships – one with a male and one with a female – and there will no doubt be readers who prefer one of the partners over the other. By allowing readers to watch Roxane navigate this personal side of her life, Lepionka elucidates much about Roxane’s character in general, without making her sexuality a huge plot point – revelatory without being patronizing. The Last Place You Look is very much a PI novel, but Lepionka manages to infuse this vintage style with a modern flair and contemporary sensibility. 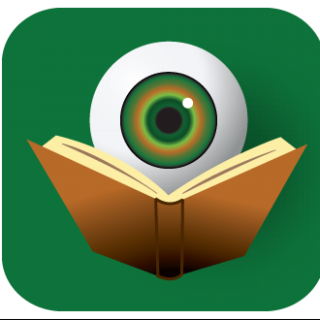 In a world where surveillance is only an iPhone away, the PI novel can seem dated and unnecessary but authors like Alex Segura and now Kristen Lepionka have shown that by adding a bit of diversity to the trope, there is still plenty of life left in the sub-genre. Kristen Lepionka and Roxane Weary are here to stay. Crime fiction readers love writers who take them to unexpected places with characters they can advocate for. The Last Place You Look easily fits the bill. Disclaimer: A copy of this title were provided to BOLO Books by the publisher. No review was promised and the above is an unbiased review of the novel. Hi Kristopher, thanks for the great review. I had actually seen this on another list but didn’t pay it any attention until now. Just ordered and will try to save it for when I have a couple days off at the end of the month (after reading the sample, no promises there). I hope that you enjoy it Sonali. The buzz continues to grow and I couldn’t be happier for Kristen.